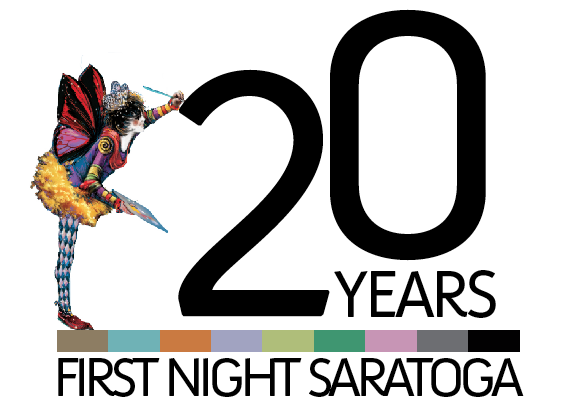 First Night Saratoga is the largest New Year’s Eve event in New York outside of NYC featuring over 80 musical and performing acts in over 30 venues. As one of the oldest and largest First Night celebrations in the country, the event is the most affordable, accessible, family-friendly, safe and exciting way to spend New Year’s Eve in the region! With this event, Saratoga Arts brings over seventy regional and touring performing groups to over thirty venues throughout Historic Downtown Saratoga Springs for this evening of live music, dance, comedy and other performances, attracting between 15,000 and 20,000 celebrants.